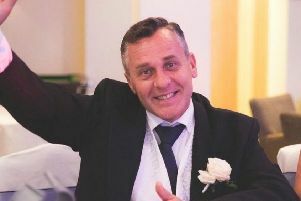 A 47-year-old man missing from South Shore has been gone for a ‘number of weeks’. Blackpool Police is now concerned for Lee Jones’ welfare and has issued a missing persons appeal. PC John Gorst said: "We are concerned about the welfare of Lee as he has not been seen or spoken to for a number of weeks. “I would ask that anyone with any information contact us. “Lee, if you read this, please get in touch as your family are worried."